BOY STORY covered ITZY’s 'DALLA DALLA' Performance! Group BOY STORY is a bridgehead for JYP Entertainment's entry into the Chinese market, has released a video of ITZY's "DALLA DALLA" dance cover. BOY STORY has recently drawn attention through their official YouTube channel, featuring a video clip of the performance of "JYP Family" ITZY's debut song and mega-hit song "DALLA DALLA." 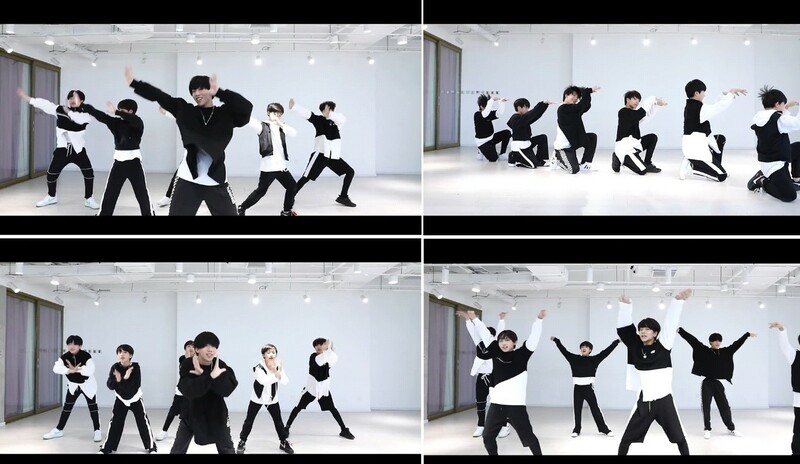 especially, BOY STORY is receiving enthusiastic responses from JYP Global fans as it reinterpreted existing choreography with their own energy and received more than 1 million views with a "simillar but different" performance. The members of the BOY STORY’s an average age of 14 and a six-member, have digested their black and white training looks and inspired admiration with their colorful facial expressions and gestures. The original soundtrack of "DALLA DALLA," which has shown a powerful performance, has been revived, but added to the performance by adding a powerful and energetic BOY STORY’s unique color. BOY STORY, starting point for "JYP's Attack on Chinese Localization," officially debuted with its title track "Enough," written and composed by JYP's chief Park Jin\ young, in September last year. Especially, BOY STORY completed their debut showcase tour in four cities - Guangzhou, Taipei, Shanghai and Beijing - for the first time in the Chinese group - and is proving their hot local popularity with the "2019 AWARDS FEIA" (Flash and Entertainment Influence Award) award in January this year. BOY STORY started their new project called 'GROWING PROJECT' in 2019 and has taken steps to grow into a second generation flagship group linking TFBOYS, the first generation of Chinese cultured idols. they unveiled the music videos of their fifth single "Oh My Ghosh" on 29, becoming the first Chinese idol to visit fans through "BOY STORY Return Online Live Show" with QQ Music on the day of unveiled.